Research published in the Journal of the American Medical Association (JAMA) has found key differences in the patient populations of for-profit hospice agencies compared to their nonprofit counterparts. Primarily, patients at for-profit hospices tend to have lower care needs and stay in hospices longer than those at non-profit hospice agencies. Get the facts on the differences and similarities between for-profit and nonprofit hospice agencies with this analysis. The for-profit hospice sector has increased substantially in the 21st century. The number of for-profit agencies doubled from 2000 to 2007 while the number of non-profit hospice agencies has remained the same. Although it's promising that the number of hospice agencies is increasing overall, it raises concerns that for-profit hospice agencies have significantly higher profit margins than non-profit hospices. A JAMA study looked at the differences in patient population and practices of for-profit and non-profit agencies to better understand why the discrepancy in profits was so great. Medicare reimbursement pays for 84 percent of patients in hospice care. Medicare reimburses hospice agencies for hospice care at a per-diem rate, meaning every patient receives the same amount of reimbursement per day despite their diagnosis or individual care needs. This reimbursement system may be creating incentives for hospice agencies to select patients with fewer care needs and longer hospice stays. By doing so, for-profit agencies may be conserving money by providing less intensive care and increasing profits by selecting patients who will live longer. 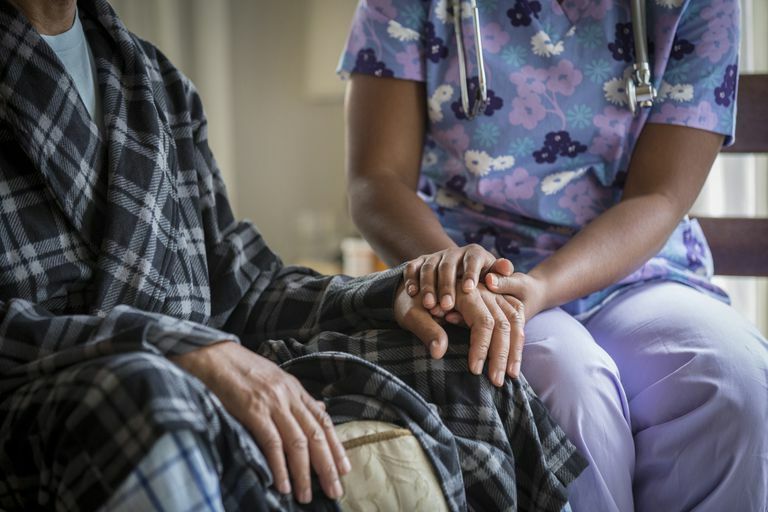 For the JAMA study, researchers used data from the 2007 National Home and Hospice Care Survey, with a nationally representative sample of 4,705 patients discharged from hospice. Comparing data from for-profit hospices and non-profit hospices revealed that both diagnosis and location of care varied by profit status. Compared with nonprofit hospices, for-profit hospices had a lower proportion of patients with cancer (48.4 percent vs. 34.1 percent) and higher proportions of patients with dementia (8.4 percent vs. 17.2 percent) and other diagnoses (43.2 percent vs. 48.7 percent). The data also indicated that approximately two-thirds of patients in for-profit hospices had dementia and other non-cancer diagnoses, whereas only about half of patients in nonprofit hospices had these diagnoses. Cancer patients have a fairly predictable life expectancy and course of treatment. By the time cancer patients enter hospice care most have exhausted all other treatments and are close to death. End-stage cancer patients also tend to need more expensive care with intensive pain and symptom management. Dementia patients (and other patients with less predictable diagnoses) tend to live longer than cancer patients with less costly care. These patients are more profitable because they accrue the Medicare hospice per diem rate daily with little out-of-pocket expense. Compared with nonprofit hospices, for-profit hospices had a higher proportion of patients residing in nursing homes and a lower proportion residing at home. Patients who reside in nursing homes often cost hospice agencies less money in the long run. Nursing homes have around-the-clock nursing care that handle many situations that home patients would require a hospice visit for. For-profit hospice agencies also tend to do a very good job of marketing at nursing homes to achieve an "in" with the nursing home staff and increase referral rates. The JAMA study found that compared to patients with cancer, those with dementia or other diagnoses had fewer visits per day from nurses and social workers. This makes sense because cancer patients typically have more severe symptoms that require more frequent monitoring. Because hospice agencies are paid daily rates per patient, for-profit hospices may benefit financially by selecting patients who will need fewer nursing visits. The hospice length of stay (LOS) is the number of days a patient is on hospice care before discharge or death. According to researchers, the median (midpoint) LOS was four days longer in for-profit hospices as compared with nonprofit hospices (20 days vs. 16 days, or 26.2 percent longer LOS). Compared with patients in nonprofit hospices, patients in for-profit hospices were more likely to have stays longer than 365 days (2.8 percent vs. 6.9 percent) and were less likely to have stays less than seven days (34.3 percent vs. 28.1 percent). JAMA researchers said the study findings have important policy implications and that nonprofit hospices are at a distinct disadvantage in terms of patient population. These findings could, and should, prompt discussion about payment reform in the Medicare Hospice Benefit. Hospice is a growing industry, especially in the for-profit sector, and more research is needed to fully understand the correlation between profit status and patient/caregiver experiences at the end of life.